Both Junior and Masters hit the ergs and weights to build the foundation for a strong spring season. Even Winter training has opportunities for competition and our teams began the year on a high note. 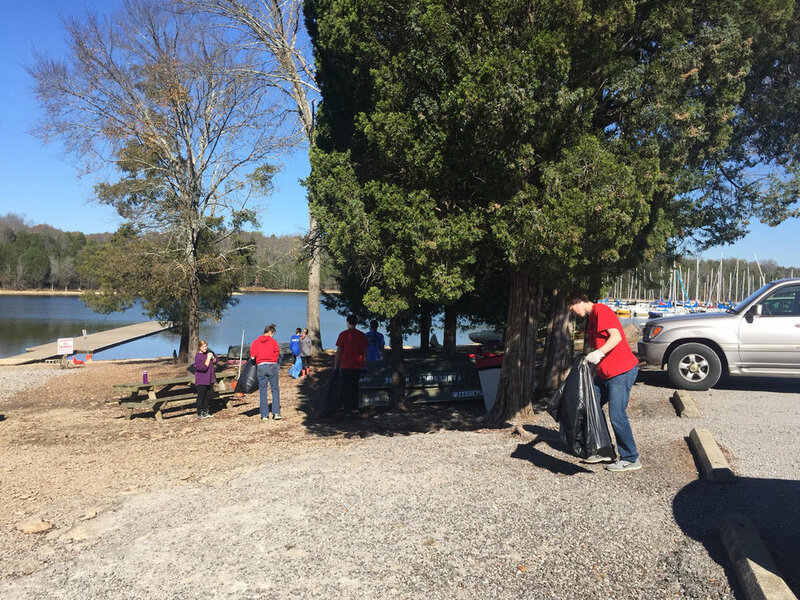 This was our third year hosting the event,with rowers competing in the junior and masters categories from Nashville to East Tennessee. With entries from local gyms like IronTribes, Orange Theory and Crossfit we were able to host the most entries we have had to date. It's always great to get new outside competition! Competing against some of the best from around the US, a small group of Juniors athletes headed to Boston to represent Nashville Rowing. All four ladies finished in the top 15 of their respective events, and made made us all proud as they sported their blue and yellow up north! Marguerite Trost - 1st place Junior LW Women - earning the prestigious Hammer Trophy! With everyone itching to get back on the water, we are that much more excited for Spring season to get here. Winter Season can seem like a long season with the sun setting at 4:30 and the prospect of thousands of erg meters ahead. For the athletes at Nashville Rowing, this winter season has seen growth in numbers, strength and mental toughness on many fronts! Masters Winter Training League had it's largest enrollment to date, and found more speed across the board with lots of PRs! On the Juniors side, it is always exciting to pick up a few new faces through the winter, and especially to see the light bulb moment when things start to click on the erg and in the boat for the first time. Aside from training, there is always the fun piece of heading to our yearly indoor erg races, and lining up next to people besides our teammates for some hard work. Saturday, February 3rd. Our largest contingent yet traveled down to UTC in Chattanooga for our first erg race of 2018. The morning started off with our Open and Masters events, with athletes ranging from the Never-Evers up to our more seasoned veterans. Following the strong performances by the Masters, our Juniors athletes were out in force for the afternoon racing. For some this was their first 2k ever, and for others this was 4 years or more of racing at this event as a Junior coming to a close. This is also a first chance for many of the parents to get up close and see the work that their athletes have put in, and the limits they are willing to push themselves too in pursuit of their goals! November 4th + 5th: The last race of the Fall pitted Nashville Rowing against even more stiff competition from in and around our region. 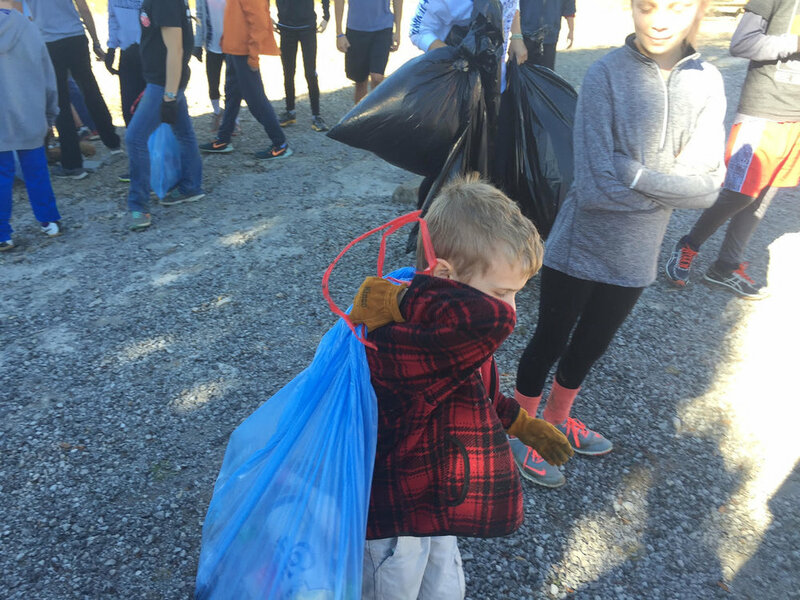 Held in our backyard of Chattanooga, TN, we had a full trailer of boats and sought to close out the Fall season on a high note. Nashville Rowing came prepared on Saturday but were put under an hour and a half fog delay which threw off racing the remainder of the day. We held strong and persevered despite the difficult racing conditions brought forth by the delay and still had a successful day of racing. Some notable results from Saturday’s racing were the Women’s Youth 4+ winning gold, the Women’s Youth 8+ finishing 7th, the Men’s Youth 2x finishing 7th and the Women’s Masters 8+ placing 6th. Sunday featured more quality racing which started on time without a hitch. Most of the Juniors broke down into smaller boats and capped off the day and weekend with a race down the course in Mixed Boys and Girls 8+’s. Notable results from Sunday racing are the Women’s Youth 2- finishing with a gold medal, the Men’s Masters 1x winning silver, and our College/Club Novice 1x finishing 3rd. Results for our teams are below. Full Results can be found HERE on HereNow. 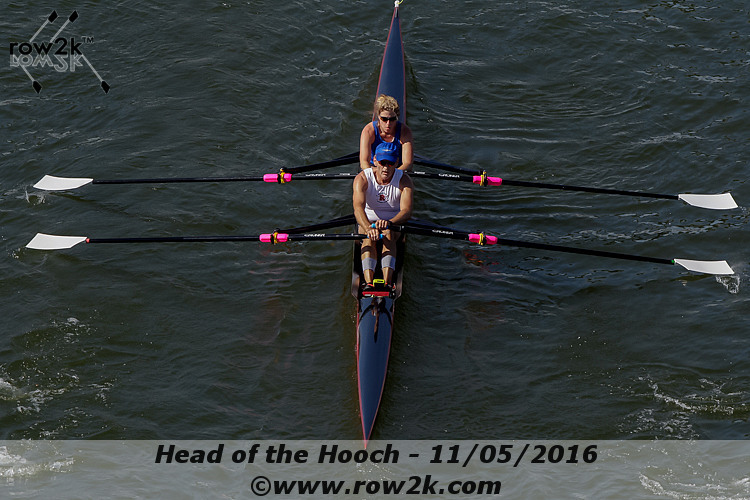 For additional photos, visit Row2k's Photo Gallery under the Head of the Hooch. 2017: Head of the Charles: Best Weather and Showing Yet! Nashville took off to the Head of the Charles in Boston, MA for the largest 2-day regatta in the world to showcase the hard work put in throughout the Fall season and stack up against some of the countries fastest programs. Nashville Rowing was represented by 4 boats. On Saturday, the Master’s would seek an automatic qualifying bid in the Men’s Grandmaster 1x, Women’s Senior 8+ and Men’s Senior 4+ categories. On Sunday, the Women’s Youth 8+ would look to improve on their 15th place finish from a year ago. Rowing conditions were perfect all weekend which allowed for fast racing and several course records. Dietmar Kuttelwascher was the first race of the day which saw a 21st place finish out of 51 total entries and a guaranteed bid for next years Head of the Charles. Next, the Women’s Senior 8+ had a great race but fell just short of their automatic bid with a finish of 23rd out of 36 boats. The Men’s Senior 4+ closed out racing for Nashville on Saturday with a 34th place finish out of 43 boats. While these two Master’s boats were disappointed by not placing in the top half of their respective categories, both feel that they raced their race and they have identified areas to improve through the rest of the Fall and into the Spring racing season. If nothing else, they are geared up, ready to go, and will look to bring their talents back again next year. Sunday started early for the Women’s Youth 8+. In their normal pre-race routine, there was a certain air of confidence surrounding the girls as they prepared to launch. Crossing through Eliot Bridge, they were on fire and crossed in 10th place with a time of 17:00 minutes out of 85 entries. 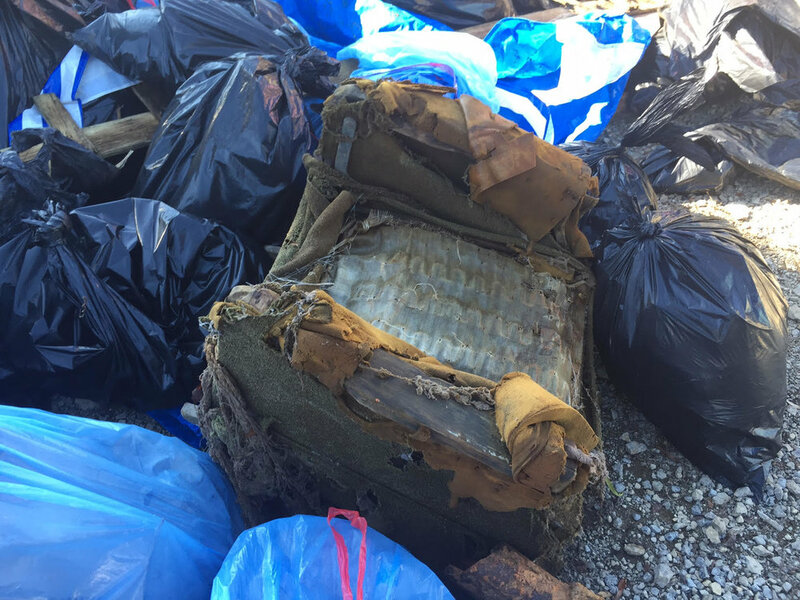 This was by far the best result of any Nashville boat in the most prestigious fall race in the United States and certainly set the stage for a competitive Spring season. Not only did our current rowers see great success this weekend, but we also had 5 Nashville Rowing alumni earn medals. Rosemary Kyne [‘13, Bates] and Michele Holtkamp [’15, Stanford] both earned gold medals and set two course records and James Kyne [‘15, Virginia], Ellie Loving [‘17, Tennessee], and Jess Mixon [‘17, Penn] all took home bronze. Isabel Grant [‘17, UMass] was also there representing Nashville in the UMass Women’s Championship 4+. All in all, it was a great weekend of racing for the Nashville Rowing family and having a chance to share the experience with current and former rowers truly shows the bond shared among the Nashville Rowing family. Full Results can be found HERE on HereNow. For additional photos, visit Row2k Photo Gallery - Men's Grand Master 1x, Row2k Photo Gallery - Women's Senior Master's 8+, Row2k Photo Gallery - Men's Senior Master's 4+, Row2k Photo Gallery- Women's Youth 8+  and Row2k Photo Gallery - Women's Youth 8+ . On the second weekend of racing, Nashville Rowing trailered to Chattanooga, TN for the next race of our Scholastic and Fall racing season. 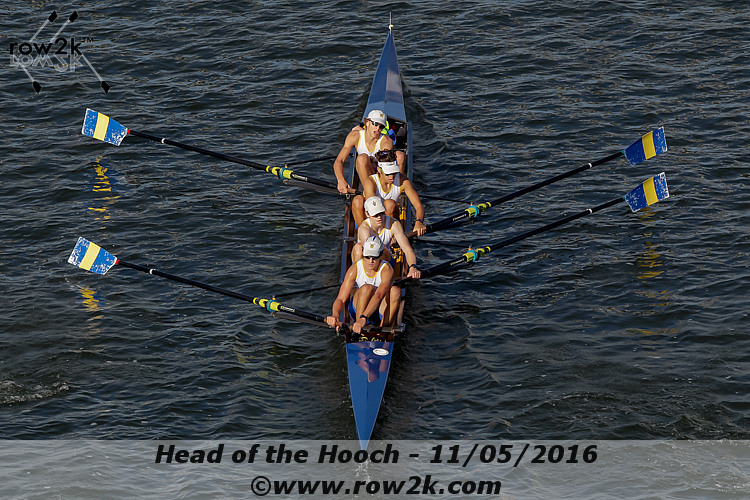 Chattanooga will host the Head of the Hooch in just a few weeks and this race was good practice for all of the athletes to race down the same course while building on the success from Music City Head Race. Nashville Juniors and Masters teams took to the Chattanooga River where all of our athletes handled quick turnover on short rest between races and hot seating very well while continuing our consistent improvement across the board for all of our teams. Next week, we send 3 boats to the Head of the Charles in Boston for the largest 2-day regatta in the world. Results for our teams are below. Full Results can be found HERE on Row2k. For additional photos, visit Row2k Photo Gallery (1), Row2k Photo Gallery (2), Row2k Photo Gallery (3) and Row2k Photo Gallery (4). 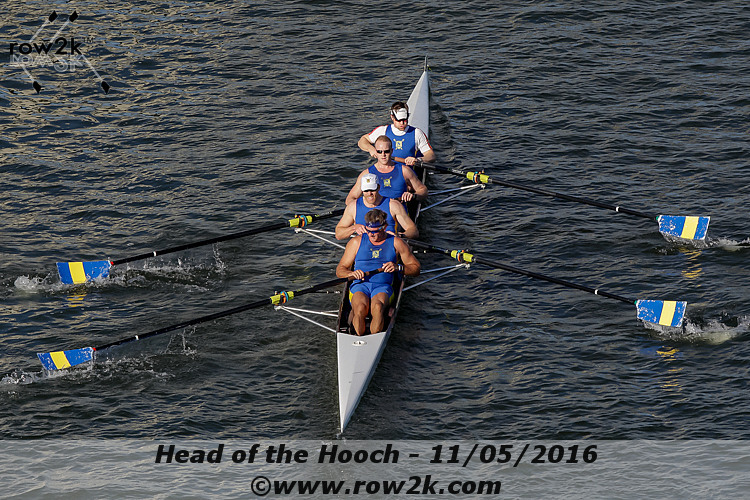 2017: 2nd Annual Music City Head Race! October 7th, 2017: Nashville Rowing kicked off the Fall season with our very own 2nd Annual Music City Head Race hosted in conjunction with Vanderbilt Rowing Club. 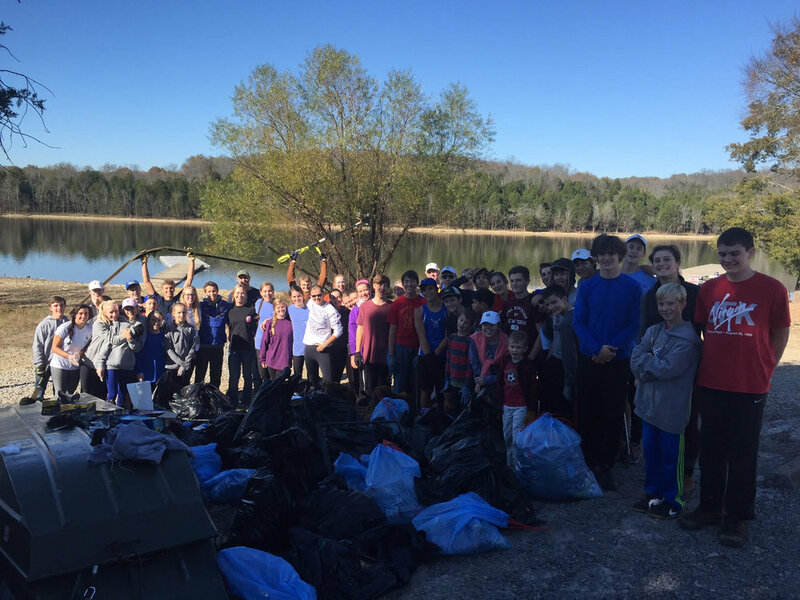 Middle School, High School, Collegiate and Masters rowers alike took to the Cumberland River where we had fantastic conditions which ceded some great racing for all 278 entries across the 30 teams participating. With few better racing venues, spectators filled the Nissan Stadium parking lots and Cumberland Park to cheer on their favorite athletes with the backdrop of Downtown Nashville. Thank you to all volunteers, spectators, athletes and coaches for helping make this Music City Head Race the best yet. We are already looking forward to next years! 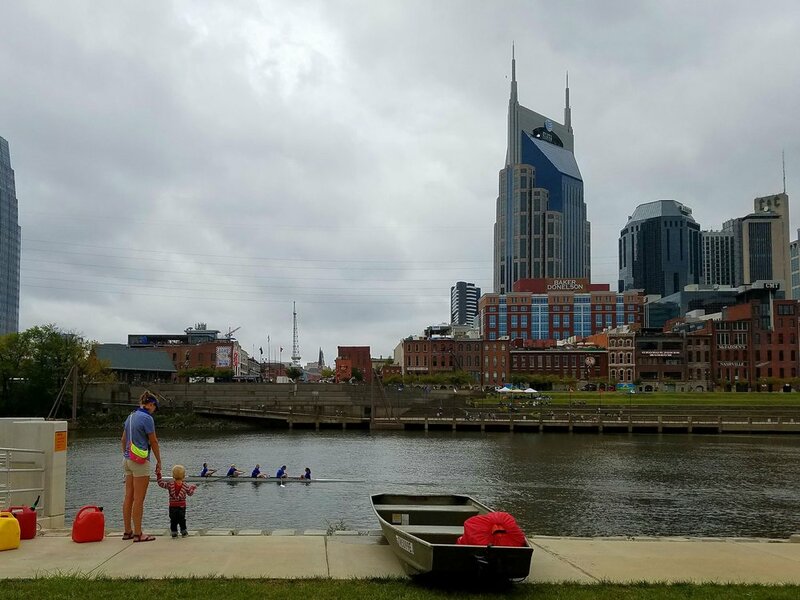 Our whole Nashville Rowing Family performed well in the first race of the Fall, and you can find results for our teams below. Full Results can be found HERE on Row2k. For additional photos, visit Row2k Photo Gallery (AM Racing) and Row2k Photo Gallery (PM Racing) See you next year for more racing on the Cumberland. Nashville Rowing’s Competitive masters were well represented at this year’s USRowing Master’s National Championship, held just down Interstate-40 in Oak Ridge, TN. With around 1,500 entries in 202 categories, many races were hotly contested and athletes put their training to the test against peers from all over the nation. Nashville’s 16 entries, marked the largest contingent that our club has ever been represented by at the National Championship Regatta! Beginning the four-day event Thursday morning was the Mixed D 2x, Nashville’s Lizabeth Theiss and her doubles partner James Robinson (Rocket City Rowing Club) raced to 4th in their heat, the Mixed F 2x, Don Sullivan and Kren Teren, followed with an afternoon final finishing 6th. Dietmar Kuttelwascher, fresh off his dominant performances at SE Regionals and the Canadian Henley Regatta, won his final in the Men’s Open D 1x, bringing home Nashville’s first gold of the weekend. Friday morning kicked off with heats for the women’s sculling entries. The Open B 2x, Rachel Rock-Blake and Amie Thurber, raced a solid heat to qualify for the afternoon’s final, while Lynnisse Roehrich-Patrick, Dawn Foster, Lisa Delaney and Maggie Davidson made a strong trip down the course but ultimately just missed qualifying for the final for the Club E 4x. The Men’s Club C 4+, Kuttelwascher, Will Weaver, Steve Grant, Sean Wlodarczyk, with coxswain Chris Calico, placed third in their heat to advance to the final, and Kuttelwascher quickly turned around to race to second place in the heat for the Open C 1x, to secure another trip down the course for afternoon racing. Starting off Friday’s finals, Rock-Blake and Thurber just missed the podium, but out-sprinted the competition from the Texas Rowing Center to claim 4th place by a mere half-second, followed by the gentlemen from the Club C 4+ who raced to 6th place, and Kuttelwascher, who claimed the bronze medal in the Open C 1x. In finals-only events, Kren Teren earned the silver medal (challenging for gold with an impressive sprint!) in the Women’s G Lightweight 1x, and the 4x of Mark Ragland, Dennis Sperazza, Steve Patrick and Don Sullivan placed 5th in the Open G category. Saturday morning saw heats for the Women’s Open C 1x, Men’s Open G 1x, and Women’s Club 8+. Theiss raced to 6th in her single, and Sperazza qualified for his final with a second place showing. In one of the most exciting finishes of the morning, the Women’s Club 8+ of Foster, Tina Hartert, Jenn Cheij, Rock-Blake, Angela Boatman, Emy Noel, Katherine Denney, and Delaney, coxed by Laura Miller, executed an excellent performance for 3rd place in the heat but just missed qualifying for the final. In afternoon racing, Sperazza raced to a solid 6th place in his final, while Kren Teren and doubles partner Nancy Schay (Atomic Rowing), won the Women’s Lightweight G-J 2x event. Sunday’s racing began with the Atomic-Nashville composite entry of Kathy O’Gorman (Atomic Rowing), Schay, Teren, and Theiss, who qualified for the final with a second-place performance in their heat of the Women’s Open E 4x, and later raced to fourth place. They were followed by the Club B 4+ of Kuttelwascher, Weaver, Wlodarczyk, and Josh Herring, coxed by Calico, who raced to 6th in their heat. Concluding Nashville’s racing for the weekend was the Men’s F-G 4x, where Ragland, Sperazza, Patrick and Sullivan raced to 2nd place in the G category. At the end of the weekend, Nashville’s masters finished 33/47 in the combined team points trophy, with the women earning 40th/58, and the men earning 29th/70. There was great racing all around and all participants left the event hungry for fall rowing! Thursday May 11th, the athletes boarded the bus at Hamilton Creek Marina to travel to Lake Lanier at the 1996 Olympic race race course for the 2017 Southeast Regionals. This regatta marks the end of the regular spring season, while also offering the chance to qualify boats for Youth Nationals in June by getting top 3 in select events. Friday gave the athletes a chance to get a practice on the course, shake off some of the bus legs, and get in the mindset to show up Saturday morning ready to race. Saturday was the start of racing, with any Nationals eligible events racing time trials (mirroring the structure of Youth Nationals) and others racing in heats to decide their progression forward. Below are the events that Nashville was entered in, as well as their how they progressed out of Saturday's preliminary racing! All the boat's that progressed directly to finals were finished racing for the day and were able to head back to the hotel to rest. After a bit of rest and recovery, the following boats returned to the course for Semi Finals racing. With some tight races for the advancing spots, the afternoon made for exciting spectating and hard fought battles! Sunday morning saw lots of hard fought racing, with both the Women's 2- and Women's 8+ qualifying for Youth Nationals in Sarasota Florida in June. Below are the results of Sunday morning's racing, with some very exciting and hard fought battles through the finish line! We were proud of the athletes handling a new regatta with strong competition well, and we look forward to using this regatta as a building block to improve on for the rest of the season! 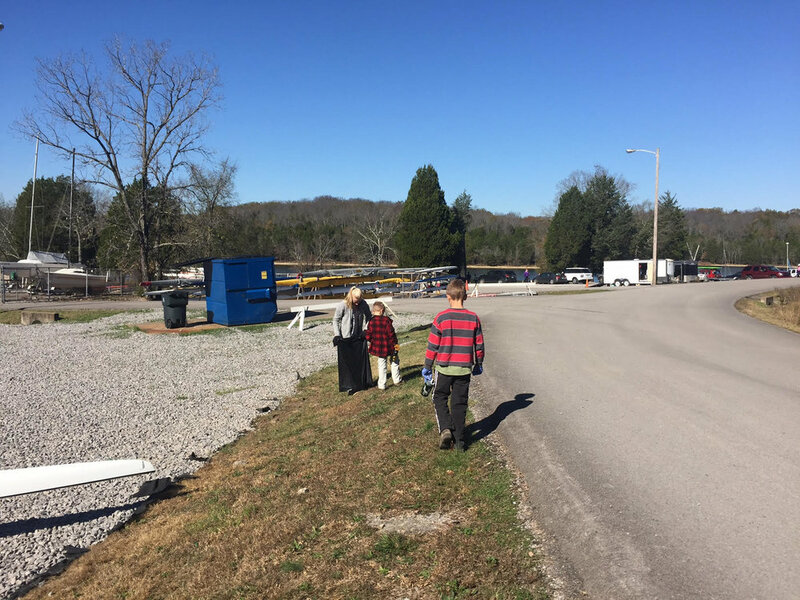 Atomic Turn and Burn: Oak Ridge, TN. The Spring racing season kicked off on Saturday March 25th on Melton Lake, with a new format for the start of our spring season. All boats would arrive Saturday AM to race a 5000 meter head race style piece against the other boats in their field. These 5ks would set up the lane assignments for the afternoon's 2000 meter pieces. This was a great early season race, allowing all the athletes to get good meters in on the day. Despite some heavy headwinds, the crews held their own. During the gap between 5k and 2k for the Juniors athletes, we were also able to race a number of Masters boats as well! This was a great tune up for the Adult athletes looking forward to later races, and to the Women's 8+ getting ready to travel to San Diego Crew Classic! We were excited to get both our Juniors and Masters athletes back on a race course and gearing up for a Spring and Summer full of training and racing. Thanks to Oak Ridge for putting on this race. We are looking forward to next year's already. Full Race Results can be found HERE! While the winter months have not yielded much water time, the the hard work and improvement undertaken by the juniors and masters in winter training has been on display at regional and national erg competitions. At the Tennessee Indoor Championships, hosted by the University of Tennessee - Chattanooga, both the Juniors and Masters programs collected their respective team points trophies. Gracie Larkin kicked off the day with a silver medal in the Women’s collegiate novice race, and was followed by masters rowing in the “Never Ever” categories, which are geared towards rowers who have never raced on the water before. Lori Kauppi and Laura Miller lead the way placing 6th and 7th, while NRC also took 11th, 12th, and 13th in the event. On the men’s side of the “Never Ever” category Steve Grant was just off the podium in 4th place, and Michael Cashin placed 9th in the 15-man event. Both gentlemen pulled personal best times! Next up came the Masters and Veterans categories, where raw times were age adjusted for the final results. Emy Noel led the way for the Masters women, in 4th place and Nashville Rowing showcased great depth by taking 5th, 6th, and 7th place, while Sean Wlodarczyk won the men’s event, followed by his teammates in 4th, 5th, and 6th place. In the Veteran events, Jenn Cheij and Jan Duckworth landed on the podium with a silver and gold medal, respectively. Tina Hartert was just out of the medals in 4th place, and NRC also placed 6th, 11th, and 16th in the 20-woman field. The Veteran Men’s race proved just as exciting, as Nashville’s Dietmar Kuttelwascher took the top step of the podium, followed by teammates in the 4th, 8th, 11th, 12th, and 14th positions. The juniors mirrored the successes of the masters throughout the afternoon. In the Youth Women 17-19 category, Isabel Grant took 5th place, Virginia Cheij (T-6th) and Anna Grace Cole (8th) both placed in the top-10, and Nashville was also represented in places 11, 15, and 23. The next race featured Youth Men 15-16, and Lucas Quinby earned a medal by taking third place, followed closely by Grant Miller in 4th. The boys also placed 6th, 15th, 21st, 24th, and 32nd in the event. On the women’s side of the 15-16 age group, Jessie Wills also earned a bronze medal, and the girls took spots 10 and 23 in the 36-participant field. The Lightweight events followed, with the women showcasing some of their speed: Grace DeNunzio, Ella Varney, and Cary Corcoran took places 2nd, 3rd, and 4th out of 31. Alex Park just missed the podium with a well fought 4th place, and Fernando Arguello also finished inside of the top-10, and Nashville also took 25th place. Nashville Juniors in the 12-14 year old age category also represented the club well, with Abraham Cheij earning a silver medal, followed by his teammates in 10th and 11th place, while the women placed three women in the top ten, lead by Sofia Sperduto’s 4th place finish, and also took places 12, 13, 23, and 29. Not to be outdone by their rowing counterparts, the coxswains competed in a 500m sprint. Jerod Fetters earned a bronze medal, while Ellie Loving won the women’s event, and female Nashville coxswains took places 4 and 8. The weekend of February 10th-12th saw six juniors athletes and two adult athletes brave the snow storms in Boston to attend the World Indoor Rowing Championships. Aside from this being the most athletes from Nashville Rowing that have attended CRASH Bs to date, it was also the best overall finishes taking home one gold and two silver medals! Dietmar Kuttelwascher started off the day for Nashville seated on erg #1 for the Veteran Men's 50-54 year old age category. The live stream showed a smooth and collected Dietmar push himself into an early lead, and hold an exciting pace all the way through the finish in 6:11.1, never giving up the first place position! Next up was the Junior Lightweight Women with Marguerite Trost and Grace Laster erg #9 and #25 respectively. Marguerite jumped out to an aggressive and early lead on the field right from the start showing strength and courage that did not go unnoticed by spectators and announcers alike! With only a few hundred meters to go, Marguerite was overtaken by another rower, putting herself in a strong silver medal position. Grace Laster also found herself in a tight pack, finishing 21st out of 106 athletes. The ten athletes surrounding 21st place all finished within 2 seconds of each other, showing just how close and competitive the racing could be. In the Junior Women we had Abby Tarquinio on erg # 7, Shelby Larkin on erg #34, Jess Mixon on erg #43 and Grace Lebo on erg #66. The live feed again found itself centered on one of our Nashville Rowing ladies with Abby pushing out of the gate at an aggressive pace, stroke for stroke with another member of the US Women's Junior National Team, and future Stanford rowing class mate. In a barn burner of a race, Abby earned a silver medal position with a time of 6:55.3! Shelby Larkin, who was attending CRASH Bs for the first time, put on a very strong race. Pushing herself into the top 20, Shelby ultimately finishing 13th out of 191 entries. Jess Mixon was our next Nashville athlete to cross the finish line, taking 30th, with Grace Lebo rounding out our entries for the event at 109th place. All around an outstanding individual and group effort by the junior women! It certainly garnered some attention for our blue and yellow family! Coach Anne took on the task of both coaching and racing this weekend taking her race position on erg #64 in a very competitive Open Women's field. Coach Anne finished the day for Nashville coming in 58th out of 144 entries. Maybe next year she can convince Coach Eric to join her in racing! Congratulations to all our Nashville athletes that travelled and raced up in Boston, you certainly had a loud cheering section back home! Official Results can be found HERE as well as the Row2k Photo Gallery from the day. 2016: Class of 2017 Signs for College! The Class of 2017 has shown that hard work pays off as 5 current seniors sign to row at the Division 1 level! All of these athletes have seen tremendous growth since joining the program, and there is no doubt that they will be great additions to all of their future programs. Isabel Grant, Ensworth class of 2017 committed to row for University of Massachusetts where she will learn, grow and race under a well established program. We look forward to seeing Isabel grow at the next level. Abigail Tarquinio, Saint Cecilia class of 2017 has committed to row for Stanford University in California. Abby is part of a very strong recruiting class entering Stanford's incoming freshmen class, and we know that she is excited to jump in and make an impact from day 1! Anna Grace Cole, Harpeth Hall class of 2017 has committed to row for Fordham University in New York. We have been proud of Anna Grace's growth through the process, and know that she will continue to bring that with her to the North East! Ellie Loving, Harpeth Hall class of 2017 has committed to cox at University of Tennessee Knoxville. Ellie won't be far away, and she will be joining some Nashville Rowing alums in Knoxville to continue building a strong program under Coach Lisa Glenn! 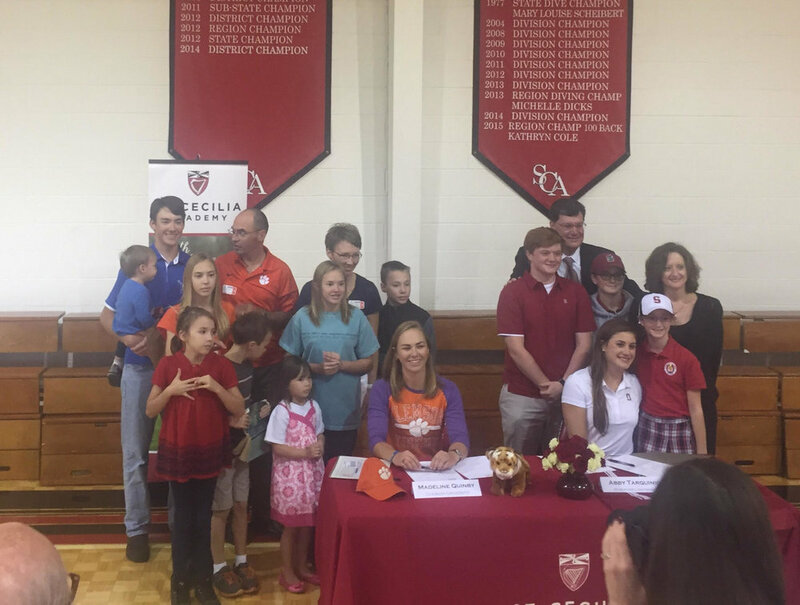 Maddy Quinby, Saint Cecilia class of 2017 and this years Women's Team captain has committed to row at Clemson University in South Carolina. Maddy will be a great addition to the Tiger's program, and we look forward to seeing her at regattas around the Southeast too! Be sure to stay tuned for updates as more athletes make their college decisions. The coaches, and all of Nashville Rowing is proud of the class of 2017, and know that their legacy will stand as an example for future generations of Nashville Rowers. June 2016 Update: Abigail Tarquinio (St. Cecilia Academy '17) was invited to attend the 2016 USRowing Junior Women's National Team Selection Camp and compete for boats that will race in August at Junior World Championships. Abby's previous international experience includes earning Bronze at the 2015 Junior World Championships as 3-seat in the USA Women's 8+, and earning multiple Golds for the USA Junior Women's CanAmMex team in the 8+ and 4+ in 2014. For Nashville in 2016, Abby sits stroke seat of the Varsity 8+ (14th @ Youth Nats) and Varsity 2- (5th @ Youth Nats), having followed our process well and along the way earned many first place finishes throughout 2015-16. Congratulations Abby on your invite and we are very excited for what you can do this summer! July 2016 Update: Now that selection has been made, Abby was chosen to represent the United States in the 4-, one of the most competitive boats at the international level. The women have been training for weeks and depart for Rotterdam on Monday August 15th. Though we will miss her at the start of the Fall season here, we will all be watching and cheering her on as she races for a possible world championship! The official announcement from USRowing can be seen below. Look for Abby, and be check back for updates as racing begins! FINALS UPDATE: The USA women's 4- finished off their week of racing with a barn burner of an final race - earning a spot on the podium with a bronze medal! Abby was exhausted from the race, but had to say: "At the 750, I called the lift and said, 'We have to go right now!' " Abby continued, "We just kept moving and then it was literally every ten strokes it was another lift, and that's all I remember, just lifting." "We are exceptionally proud of Abby's efforts at home for Nashville and over the summer for the USA," exclaimed Coach Eric Gehrke, "She is a great representation of what we stand for here in Nashville: hard-work, self-starting, and reaching for goals larger than yourself. We are glad that her efforts have propelled her to success beyond our own boats." We are proud of Abigail and the rest of the team for their hard work leading up to World Championships, and for their performance on the international stage! We will look forward to having her back here in Nashville in the blue and yellow!